I miss India and I've never been there. I'm not sure exactly how that's possible but it's a dilemma that's made easier by the friends I made while living in the U.K. - I was truly lucky enough to make a family while abroad from people around the world, and the closest of these individuals were from India. Their culture and food has inspired me even after moving back to my little cow pasture in North Carolina. Tonight I couldn't decide what to make for dinner when my friend Aditi sends me a picture of her dinner: paneer bhurji and paratha. I'm like "kya hai?" It's basically cheese, onions, tomatoes and peppers all fried up and served with flat bread. I know in that instance that I've got to have some. Considering I've never actually ate bhurji (to my recollection) and the fact I live in the middle of freaking nowhere (I had to substitute panela for paneer), I think my little foray into let's try new things was a success. Now go make some bhurji and watch some Bollywood on my behalf! Chop the veggies and with spices, fry in butter (ghee)/oil until nice and brown. Crumble the paneer into pan and fry till soft and brown. Garnish with a bit of cilantro and serve with flat bread. **If you're in a pinch and can't access paneer from India, go to Wal-Mart and look for Panela in the Mexican section. It's very similar. 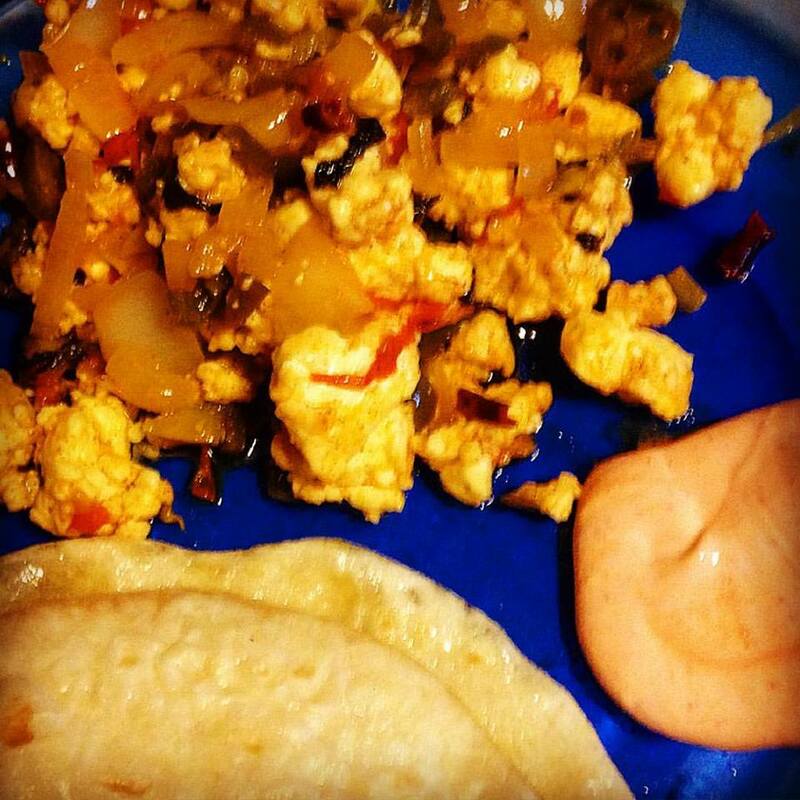 I'm also told that you can add eggs to the bhurji both with and without the paneer.